Jody won the color dare Diamond! Joyce won the color dare Emerald! Michelle won the color dare Ruby! Shelly won the color dare Sapphire! Congrats ladies! You can pick up your badges from the tab labeled "blog badges." Lesson: The lesson today is about tints. Tints are lighter versions of a hue. You get a tint by adding white to it. A synonym for tint is pastel. Two weeks ago we did similar colors (Lagoon, Pear, and Buttercup). Let's see how we can change the look just by making the colors lighter. 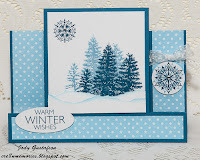 Our guest designer is Pam Klassen. 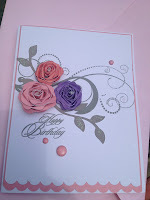 She made 3 beautiful cards! Now it's your turn! Just create a project using the suggested colors. If you don't have the exact colors, use the closest ones you have. Take a photo of your project and upload it to your blog or online gallery. Be sure to link to us in your post, then link your post up here. Please read the sidebar for complete rules. Don't forget to have fun! Karen won the color dare diamond! Shiela won the color dare emerald! Jody won the color dare ruby! 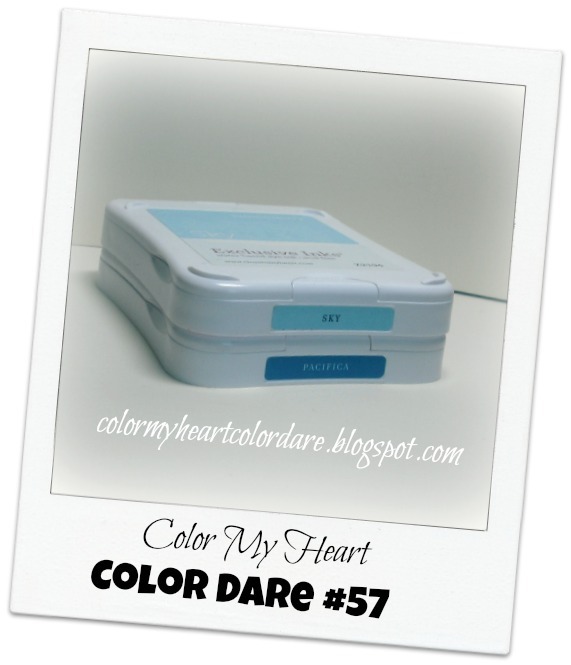 Joyce won the color dare sapphire! Lesson: Monochromatic colors are 2-4 shades of the same color. In this case we have a blue that is close to a true blue, and a lighter shade of that same hue. Our guest designer is Denise Elliot. 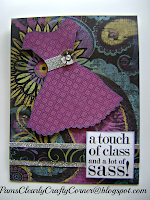 She made a hip trendy card with some cool background stamping! Now it's your turn! Please read the sidebar for complete rules. Don't forget to have fun! 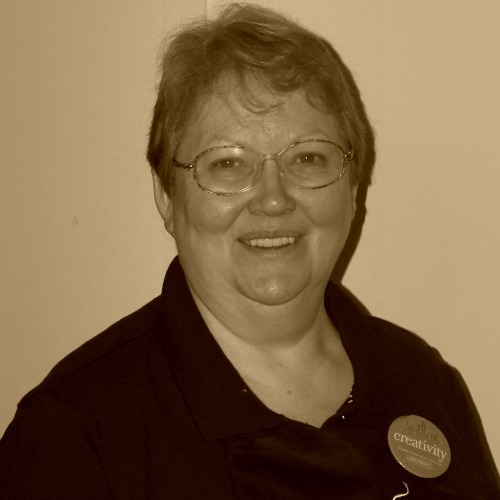 Pam Klassen wins the Diamond badge! Jody wins the Emerald badge! Pam E. wins the Ruby badge! Liz wins the Sapphire badge! Well done, ladies! You can pick up your badges from the page tab labeled "Blog Badges." This week's colors are analogous. 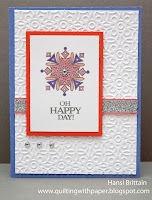 Our guest designer is Polly Lewis! She made a beautiful card with the new Artbooking cartridge and one of the new spinner cards! 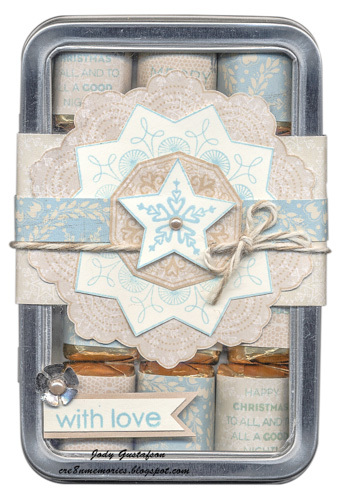 Now check out these gorgeous works of art from our design team. Don't forget to leave them some comments! Now it's your turn! I will be giving away a fabulous prize for August entrants, so the more you play, the more chance you have to win! Create a project using the suggested colors. If you don't have these exact colors, use the closest you have! 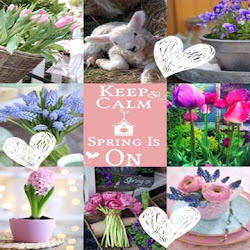 Post your project to you blog or online gallery, then link it up here. Make sure you link back to us in your post. Please read our sidebar for the complete rules. Don't forget to have fun! Polly wins the Diamond badge! Shelly wins the Emerald badge! Jody wins the Ruby badge! Dawn wins the Sapphire badge! 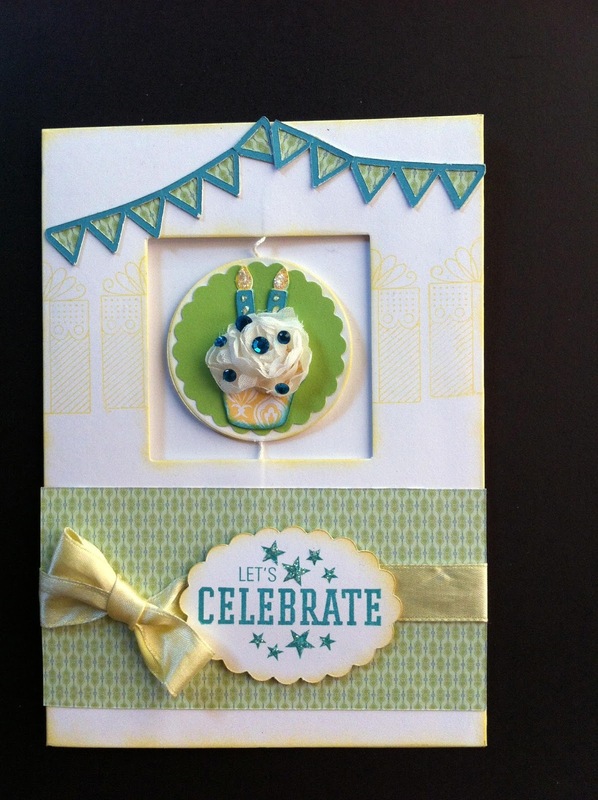 This week's dare is from one of our BRAND NEW paper packs that just came out on August 1st! 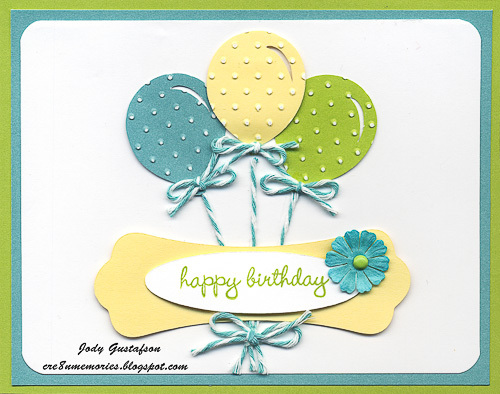 Our guest designer is Jayma Malme! 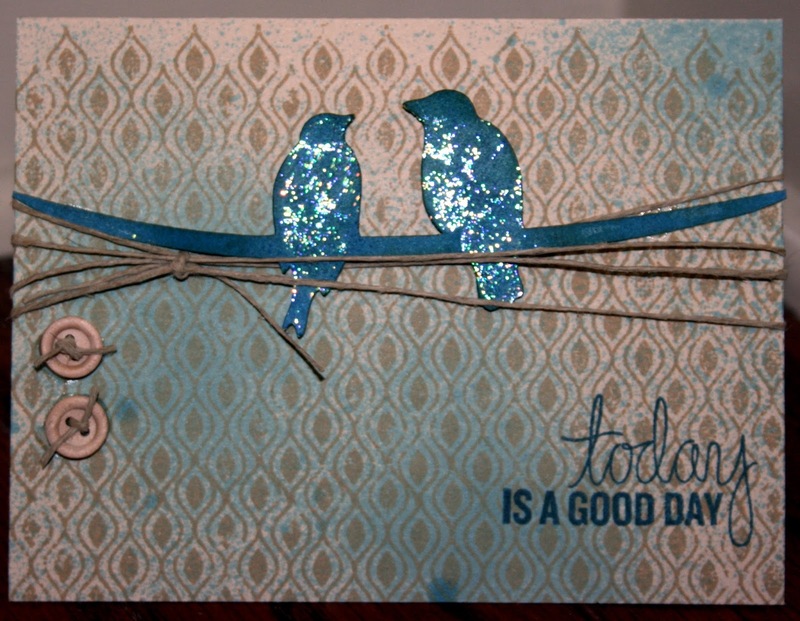 She made a beautiful card with the new Artbooking cartridge! Welcome to the Color Dare! I'd like to congratulate our winner and runners up from last week. That's right, we're going to have runners up from now on! 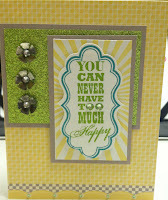 Check out the page labeled "blog badges" to see our coveted new jewel-themed badges (created by Carmen, one of our NEW DT members)! The winner is: Michelle Hughes! Michelle gets the Diamond badge! First runner up: Gretchen Stumme! Gretchen gets the Emerald badge! Second runner up: Hansi Brittain! Hansi gets the Ruby badge! Third runner up: Joyce Lau! Joyce gets the Sapphire badge! Now I'd like to introduce our NEW design team members. They will be starting next week! Hi my name is Carmen Mitchell and I am thrilled to be a part of the Color My Heart Dare Challenge DT. 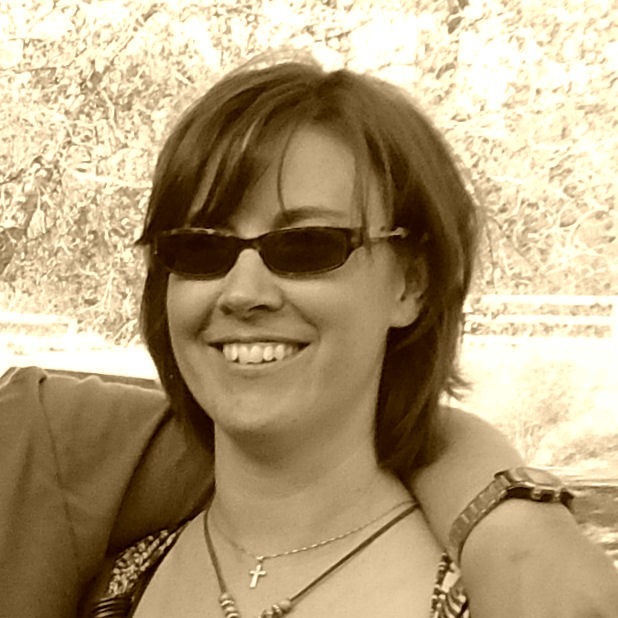 I live near Edmonton, Alberta Canada with my husband and my 2 youngest children. I also have 2 grown children living close by. I was a Dental Assistant for 16 years before deciding to become a full time Mom/Domestic Engineer. 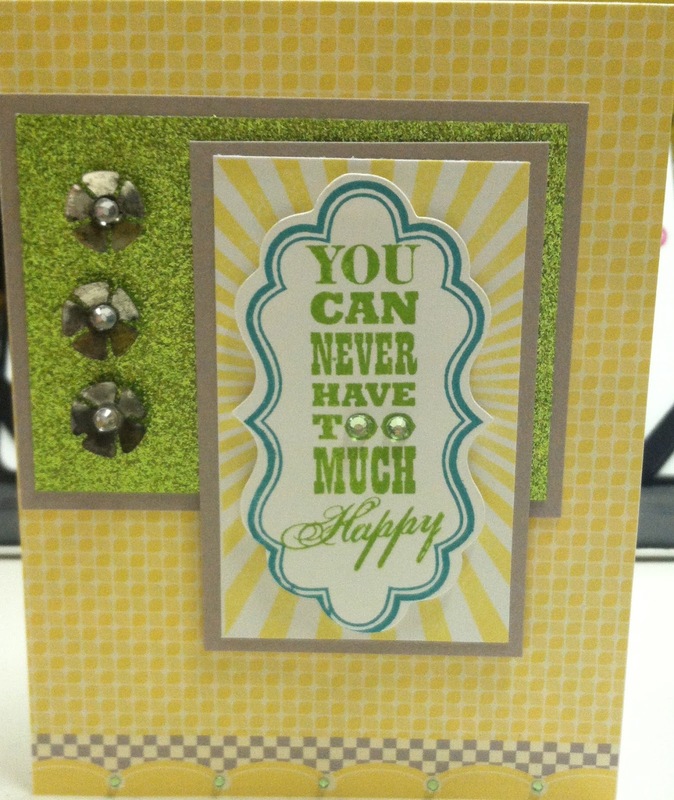 Now I am lucky enough to be able to pursue my passion of Crafting while my kids are at school. 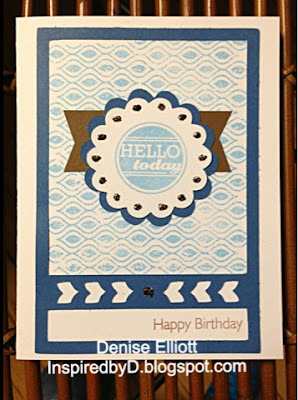 I have been crafting my entire life, I currently spend my time creating pottery and paper crafts. 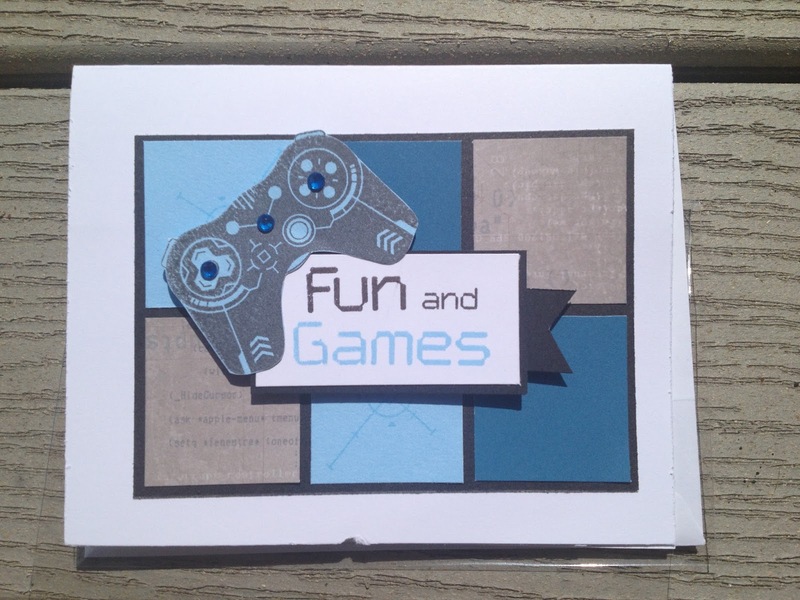 Although I have been making cards for about 10 years and started scrap booking about 2 years ago I only recently became addicted to online challenges. About two and a half years ago I met a CTMH representative and now call her a good friend and CTMH my favorite products. 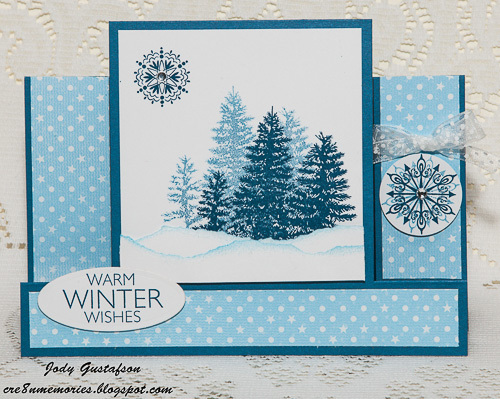 I love that all of the CTMH products match, the colors all go together; I never have to search for the right shade of red ribbon to match my paper or inks... 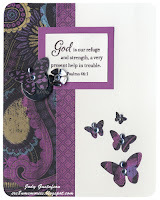 This makes the products so easy to use and you can simply let your creativity flow. I'm Michelle and moved to the Kansas City, Kansas area when I remarried. Before that I was (still am at heart) a Northern Girl. Originally I'm from St. Paul, MN but spent most of my pre-Kansas life in the Green Bay, WI area (Fox Valley & Door County). Between us, Michael and I have 4 daughters and 4 grandkids with a 5th to arrive soon! I LOVE being a Grandma and a few years ago became a stay at home Grandma for our one local grandchild. I've been a Close To My Heart consultant since 1996. It was a very quick chain of events that brought me to becoming a consultant and I've never looked back! It was the perfect fit for me then and still is now. I've been fortunate to teach and present at a number of corporate events and have built life-long friendships along the way. Plus, I get to "play" with great products and share my love of stamping and scrapping! 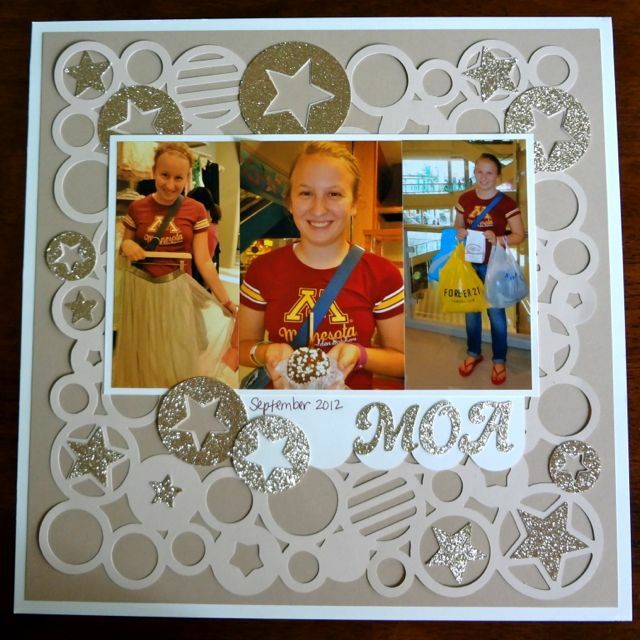 My personal goal is to make a scrapbook for each grandchild. I do one double page layout for each month of their first year. So far I have 3 done, 1 in progress and one to start in a couple months! 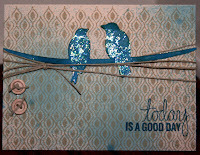 Of course I don't stop there and keep adding to it with pages to mark other fun things after the 1st year mark. 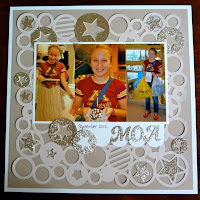 The great part of scrapbooking is that you get to re-live the moments again as you create the layouts. What a wonderful feeling! My husband and I love to golf. In fact, he took up golfing for me because I enjoy it so much. I come from a big family of golfers and we have an annual family outing every year. I also love to read, listen to music and cook. Can you say Pinterest recipes?!!! I'm honored to be selected for the Design Team! 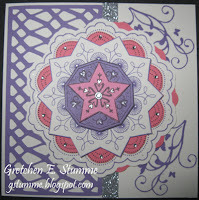 I love sharing my love of stamping and scrapping and also being inspired by others' creative work. 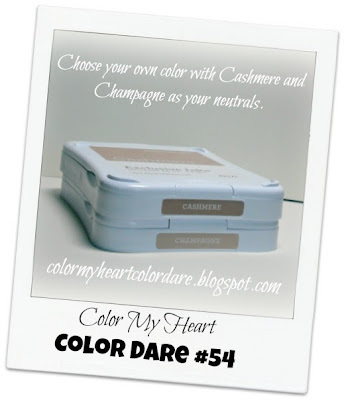 I've loved being a participant in the Color Dare Challenges and look forward to being on the Design Team! I wear many hats. I am a wife of almost 17 years to my high school sweetheart, Matt, who is also my best friend. I am a mom to two very busy boys – Sam (age 12, going into grade 8) and Charlie (age 8, going into grade 3). I am a volunteer, at the school and with my kids’ activities. I play baseball, read Stephen King, and love anything Disney. 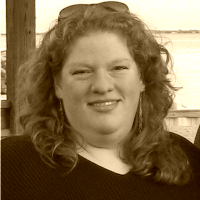 By day, I am a freelance advertising writer, specializing in financial, not-for-profit and pharmaceutical / health literacy writer. And I am a weird combination of Type A organizational personality and creative free spirit. One of my favourite hats is the one I wear as a Close to my Heart consultant. I love to craft, I love to teach crafting, and I love it when my ladies call me their “Creative Goddess”. I have been with CTMH for over 8 years and I love every minute of it. This past June, I was honoured to receive a Top Seller Award, reaching #4 in sales for all of Canada. 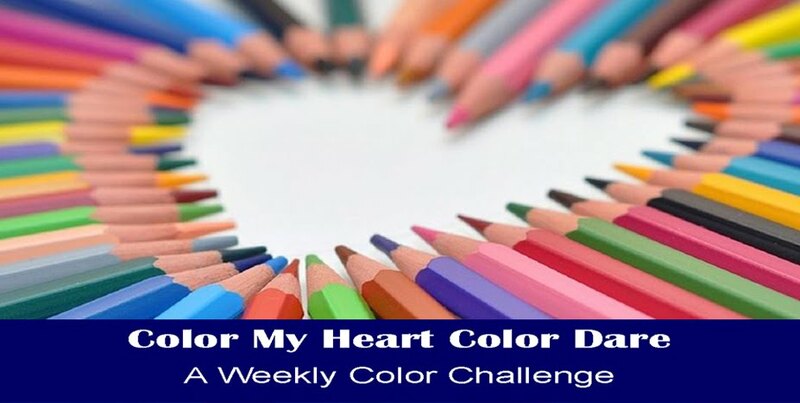 I am really excited to be a part of the Color My Heart Color Dare Challenge Blog (though, I keep wanting to spell colour the “right” way – colour!! Wink, wink.) CTMH has such an amazing and versatile palette of colours and it’s so fun to play with different combinations. Plus, I am inspired by the whole teaching aspect – teaching others how to use different colours in different ways for different projects. So bring on the challenges, I am up for it! Will you join me? 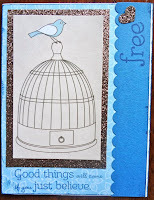 In 2000, I found myself drawn toward a new creative outlet, scrapbooking. My sister-in-law introduced me to this art medium and I soon found myself in love. In love with the the paper, the colors, the photos, the memories, and most importantly, how it made me feel – happy. I could spend hours creating a layout, blocking out the world around me, even if just for a while. 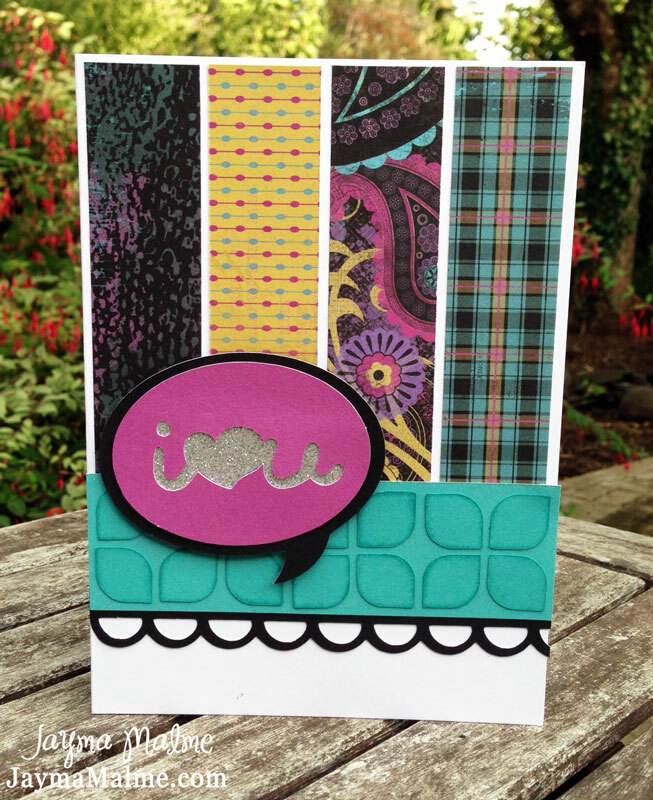 The coolest benefit, my Mom and I scrapped together, thus my blog name Mom ‘n Me Scrap. 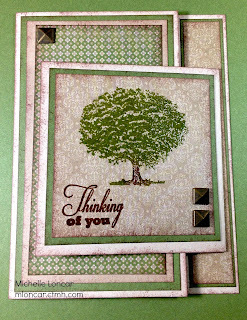 I soon began to explore other papercrafting venues. 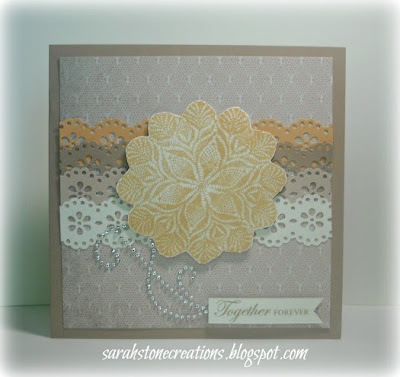 The best part of being a ‘papercrafter’, is the friends. 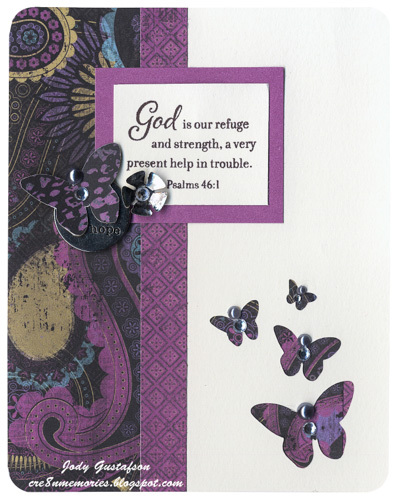 Just as in the quilting bee days of yesteryear, papercrafting brings women together with a common thread, a place to share, fellowship, and feel welcome. 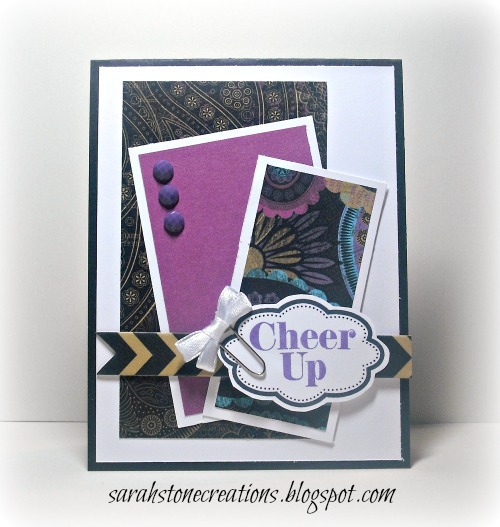 This journey has led to my adventure in running my own stamping and scrapbooking business. The old adage is true ‘when you find your passion, make it your career’. It has worked for me. My favorite product line, Close To My Heart; my style ‘the blinger the better’; where I want to go next, only time will tell. 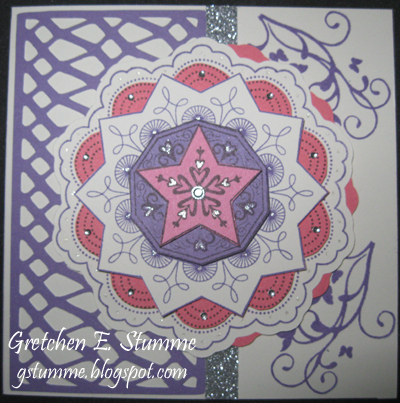 My name is Gretchen Stumme and I have been a crafter/artist for as long as I can remember. 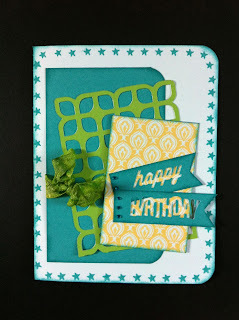 I’ve tried a variety of mediums at one time or another, but paper-crafting has stuck as one of my favorites. 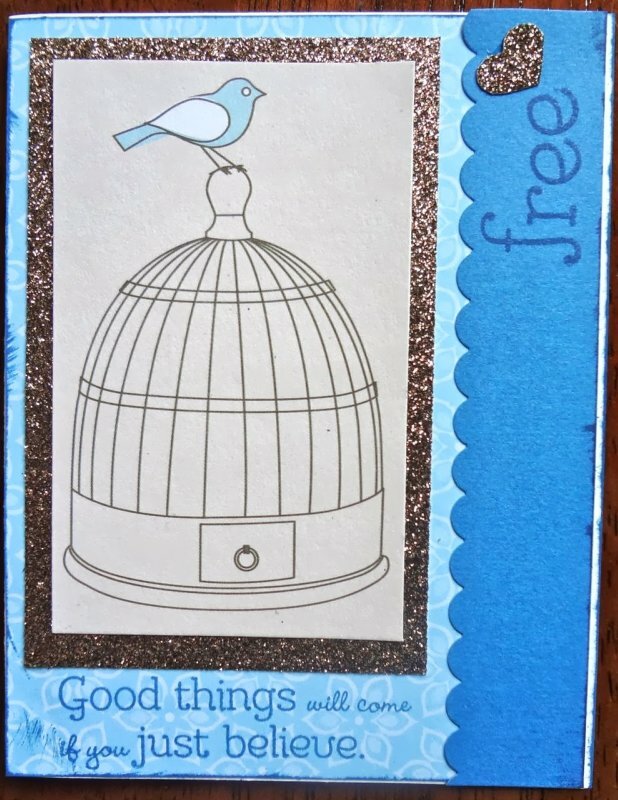 I bought my first stamp to use on the back of my wedding invitations and was instantly hooked. 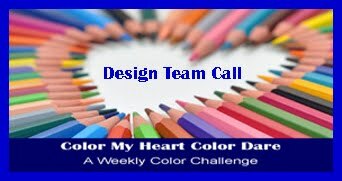 The Color My Heart Design Team is my first design team, and I am thrilled to join this talented group! 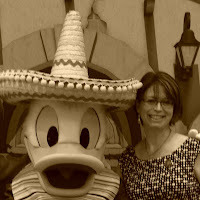 I am a Marketing Specialist as well as a Close To My Heart consultant. 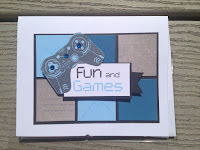 I love teaching workshops in book making, paper arts, and quilting. If you don’t find me in my studio behind my paper cutter or sewing machine, I’m probably out and about behind my camera. The local zoo animals are my favorite subjects! 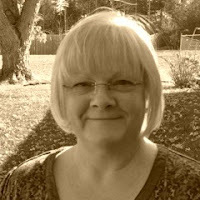 I grew up in Connecticut, but have lived in Upstate New York with my husband Dave since our college years. Please welcome our new DT members and leave them some love! Now it's your turn! I will be giving away a fabulous prize for August entrants, so the more you play, the more chance you have to win! Create a project using the suggested colors. If you don't have these exact colors, use the closest you have! 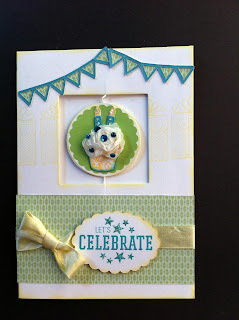 Post you project to you blog or online gallery, then link it up here. Make sure you link back to us in your post. Please read our sidebar for the complete (updated) rules. Don't forget to have fun!